I just got home from a little vacation. Mike and I dog sat on the Eastern Shore. It was a nice and relaxing time. I wore this to get some barbecue and go to the outlets. 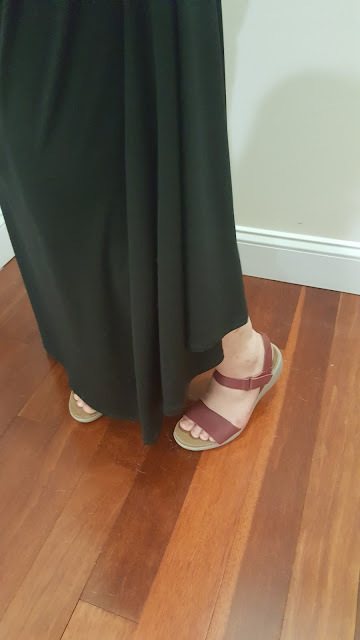 I wore a different pair of shoes shopping but halfway through I changed into my new sandals. 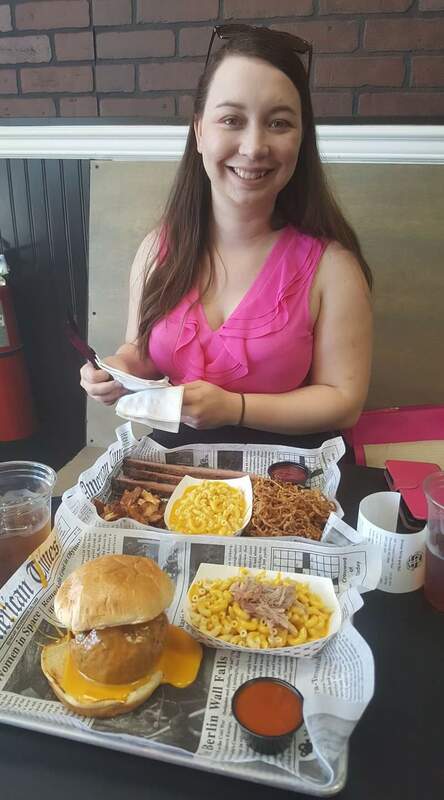 I got pulled chicken, brisket, mac and cheese and onion straws. So good! 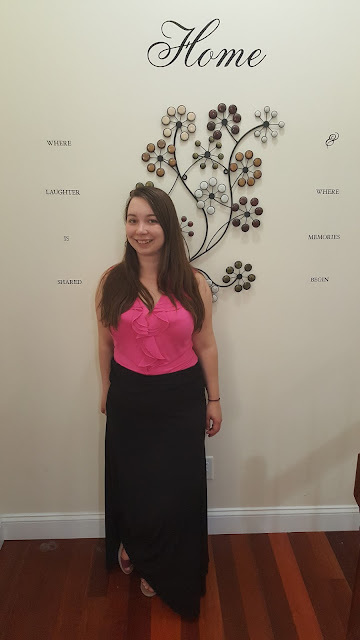 I love maxis, just so easy and comfortable to wear! and the pink tee is a lovely color on you. So fun in ruffles! That food looks so yummy! This top is so pretty! I adore the ruffles and color. Sounds like a fun time! That food looks so good and I love a ruffled top! I love the fun pink ruffled top! And your sandals too - that looks like it can go with anything! What a lovely top on you, Jess! The ruffles and hot pink make quite a statement! I love the color of your top and the ruffle detail! This is such a cute look! Yum that food sounds so good! Yummy!! That food looks so delish!